She Says:Yes J did good with the airboat ride surprise. 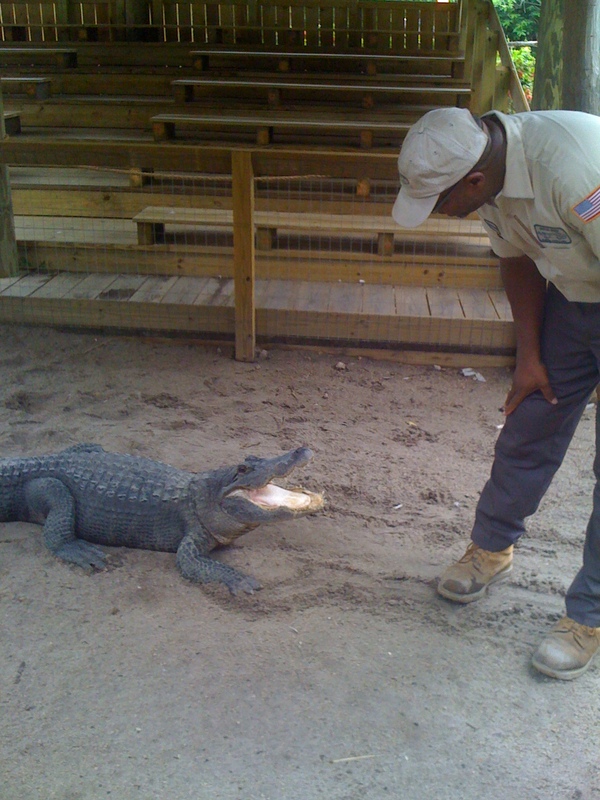 I had been talking about it the whole way through the everglades about how cool it would be to do one, not knowing he had already planned it. It’s the least he could do for making me stay in that flea infested hotel. At least the AC worked. I thought when we heard that banging on the door at 1am we were done for and going to get robbed and who knows what else. And when he picked up the phone to call the front desk and there was no dial tone, well that is when my mind starting racing and playing one of those horror movie scenarios. Young couple pull over after miles of driving to a cheap hotel. Things are under par but they say what the heck and call it a night. Then when they are fast asleep they hear weird noises which progressively get louder and harder to avoid so they reach for the phone which coincidentally doesn’t work — then they get murdered. Well we lived! Phew…that was a close one. Trail run was awesome!! I recommended to all. Somehow I ended up running about 2 miles further. I must have gotten off the trail at some point then back on it. It’s pretty easy to get lost on those things. Then we were off to Disney to stay in a very nice hotel. Yay! 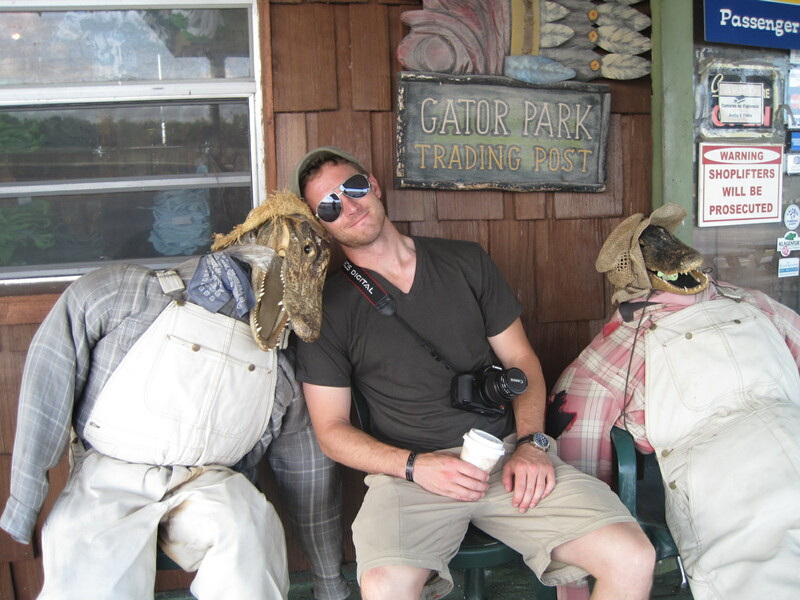 J hangin with George and Phil Gator..
Gator wrestlin' after our airboat tour in the Everglades. 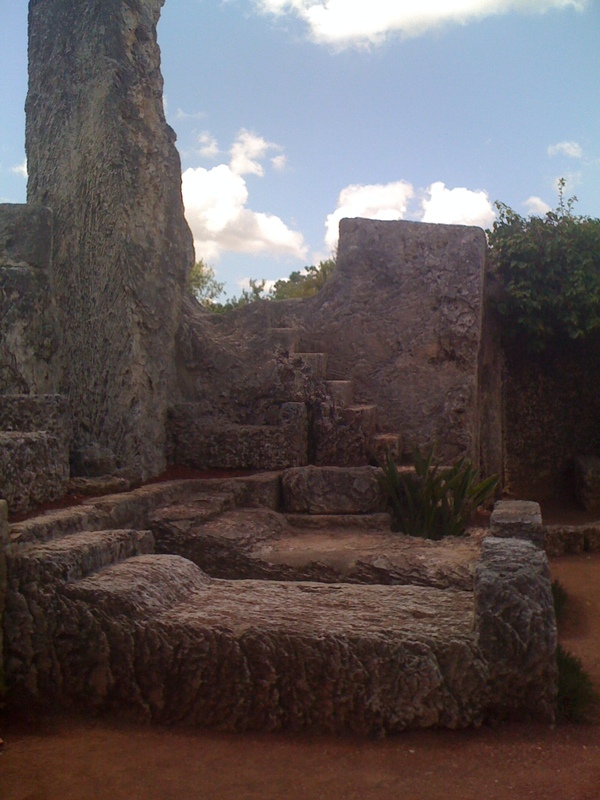 Where all the magic happens at Coral Castle in Homestead, FL. 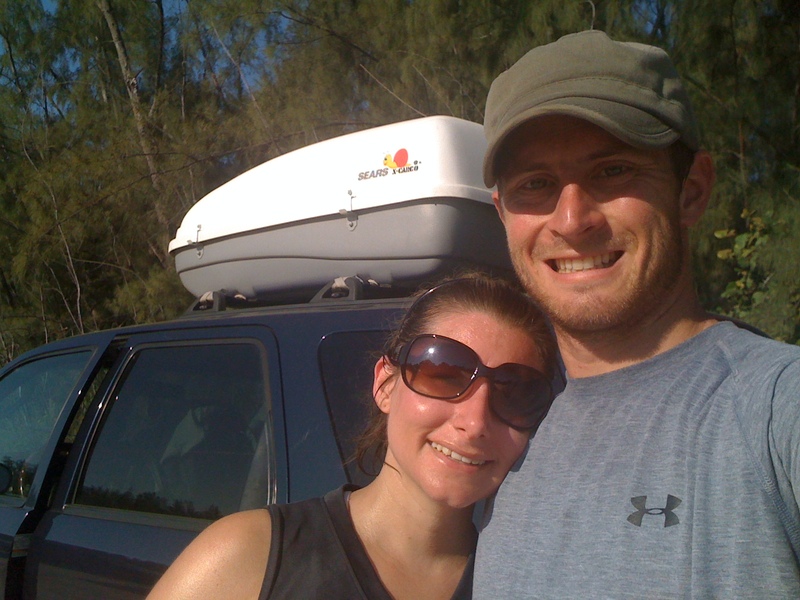 After our trail run through the woods in Miami.